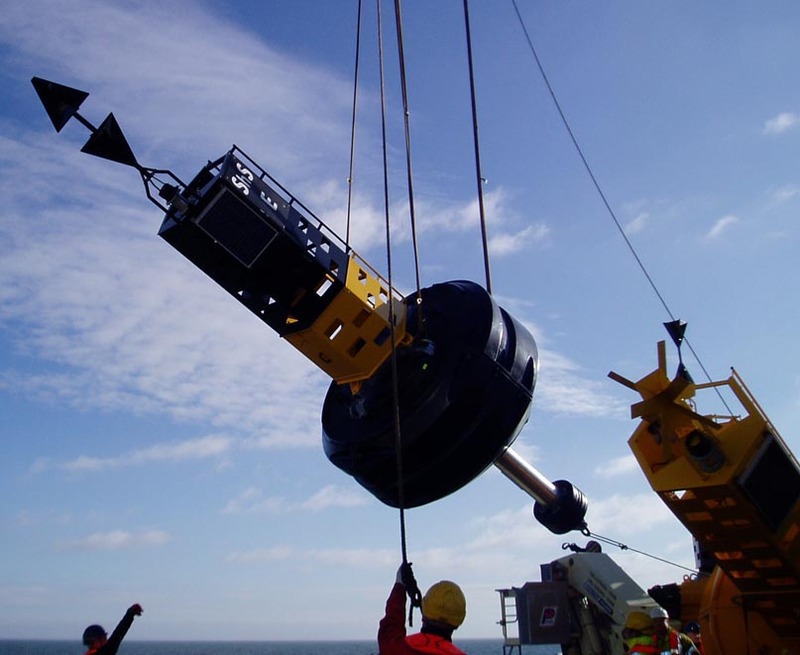 Hydrosphere originally deployed the buoys with the Trinity House Vessel Galatea in February 2010. A full maintenance visit of the buoys was also carried out in October 2011, and all buoys were found to be in very good condition with only slight wear on the moorings. 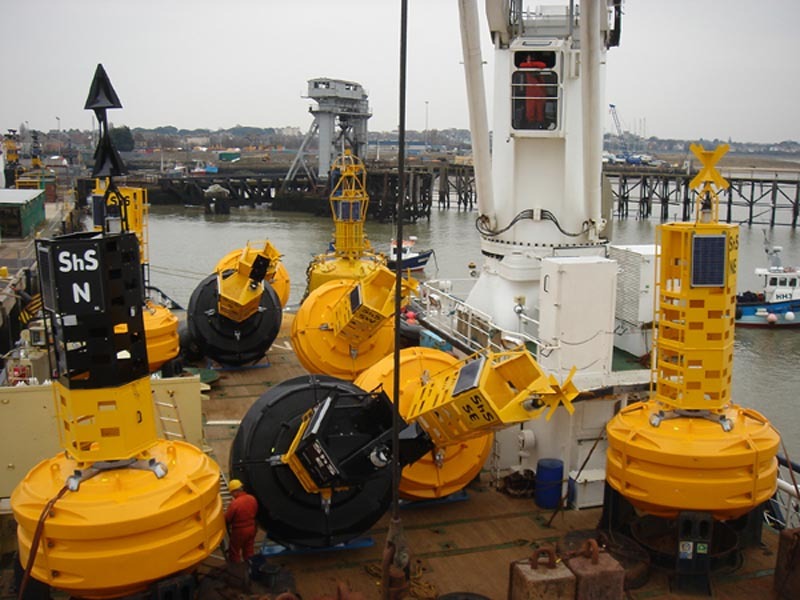 Manufactured by world-leading buoy manufacturer Mobilis, the JET 9000 buoys provide a really robust and cost-effective solution for offshore and deepwater applications, especially where high visibility is a must. As with all Mobilis buoys in the JET range, because they are constructed from UV stabilised polyethylene components the buoys can withstand extremely harsh sea conditions and will retain their colour within IALA guidelines for more than 15 years. The buoys are being leased to SCIRA until the end of September 2013 as part of Hydrosphere ‘s buoy and light rental service. 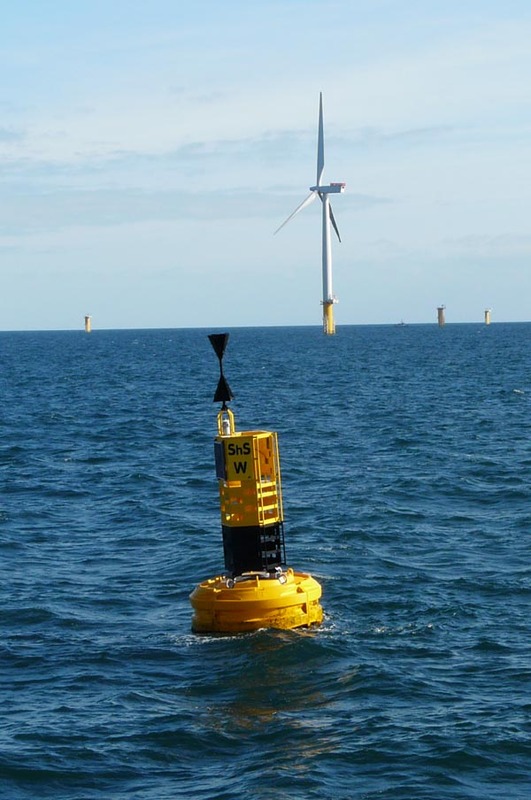 Hydrosphere introduced a rental facility to accommodate companies needing lights and buoys for short term projects and has already proven popular with the company’s wind farms customers, which include Greater Gabbard, Walney, North Hoyle, Scroby Sands, Kentish Flats, Burbo Bank, Robin Rigg, Lincs, and Strangford Lough. “Contractors often need temporary navigation aids for short-term, project based deployments, marking sites while construction is underway. We’ve designed our rentals to be as flexible as possible for our customers – our minimum rental contract is just three months, which of course can be extended.” said John Caskey, Hydrosphere Managing Director.